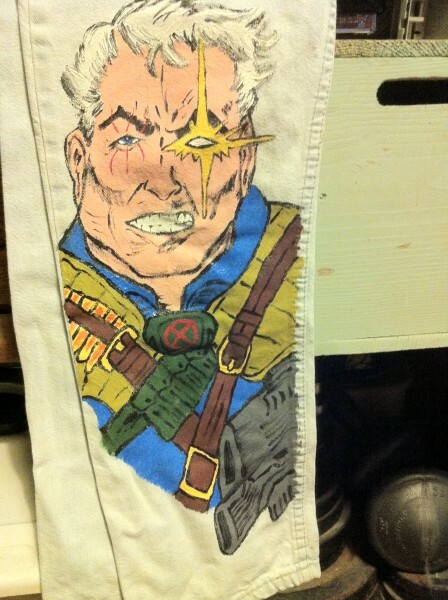 Ages ago, when my son was around ten or so, I painted one of his favorite comic characters on a pair of his old jeans. This was done with fabric paint. I give you, Cable of the Marvel X-Men and X-Force comics and the X-Men cartoon series. Ah, the things we do for our children. Nothing 'sparkles' like gold and so here is a lot of gold sparkling. These photos also represent the prompt 'Love'. after he died from typhoid. You really have to love someone to go to this kind of trouble to memorialize them, don't you? This is the full statue here and below this are a few close ups of the sparkly bits. 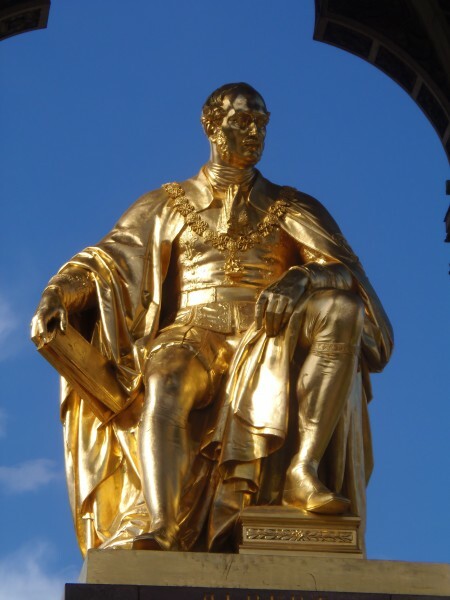 A very sparkly Prince Albert looking very impressive. 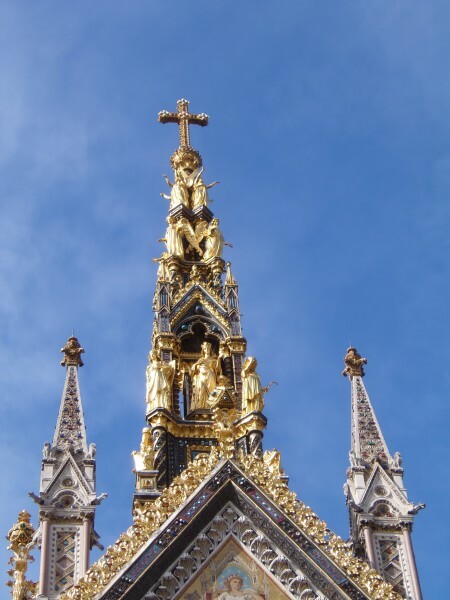 A photo of the top spires and their sparkly bits. And finally, a close up of the angels that stand watch on the top of the memorial. So, lots of sparkle and a great love. Terrific choices! And wow, those are awesome jeans. Glad to see that those jeans survived the years. Thank you. The jeans seem to have held up very well considering. They are a nice reminder of my son's childhood and the sort of things he was into back then. 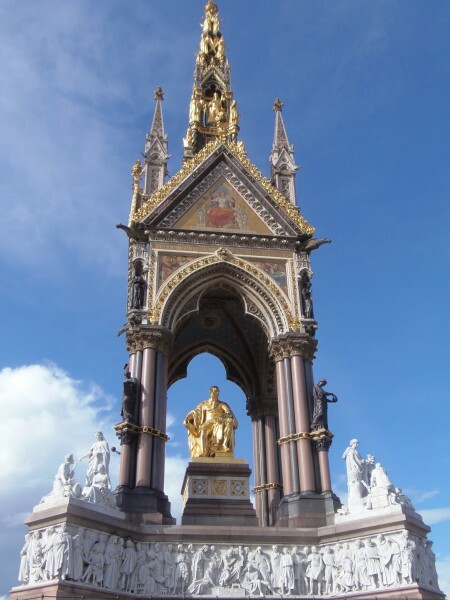 The Albert Memorial is very sparkly, isn't it? And a really good answer to both those prompts. I am well impressed by those jeans! 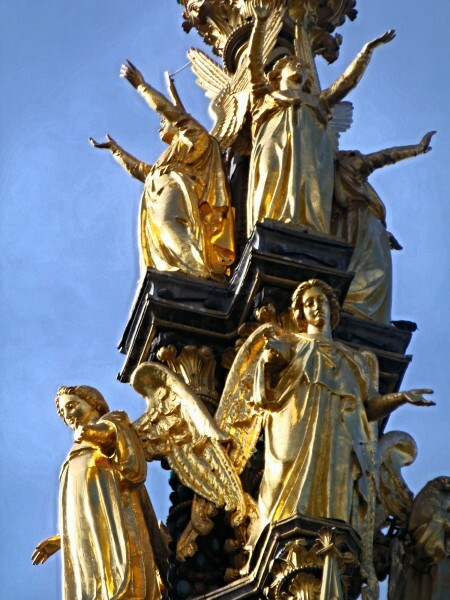 I loved looking at the Albert Memorial. So much detail and where ever you look, you find a new little carving or ornate design. I was amazed by it. As to the jeans, I used to do a bit of art now and then and mostly it was when requested by the child. It's been ages since I've done much along those lines. It is fun to look back though. I'm impressed by the jeans!